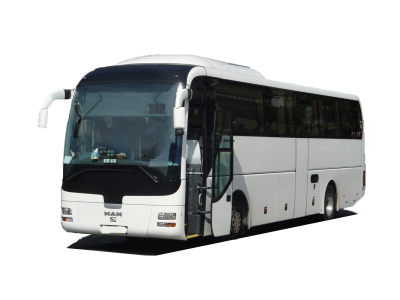 Bus transfers: Your group can reach its destination in an appropriate, comfortable and reliable bus. That is the reason why the transfers by bus enjoy a big hit, not only within the country but also in an international context. Thanks to Germany Bus you can rent buses from our company partners' in Hamburg or in other neighboring cities. Whether you need a simple transfer downtown or to the airport we offer you all kinds of bus transfers with driver in, from or to Hamburg. Sightseeing tours: Regarding guided tours, Germany Bus rents you quality buses with driver that will fit your needs. In addition, we make available professional local guides who will show you the wonders and the most beautiful places of the city of Hamburg and will explain you the particularities of its culture. If all this stimulated your appetite and you fancy a snack, the tour operator City Tours will gladly reserve a table in one of the best Hamburger taverns. Excursions by bus: The Hamburger surroundings have a lot to show too. You will enjoy your journey in a comfortable vehicle while an experienced local driver will lead you through the countryside. If you share this view, Germany Bus will be happy to provide you with a suitable coach and a driver for your excursion departing from Hamburg. Please remember that we make available professional experienced guides for your tourist trips. Travels by bus: The destinations bound from Hamburg are as varied as interesting. Amongst them are Denmark, Sweden, Holland or Belgium. You may also find numerous places for your travels by bus in Germany! Whatever the destination of your trip, the coach rental platform Germany Bus and its partners from Hamburg will be thrilled to permit you to book a bus or a minibus with driver for any kind of transfer. Moreover, in the event that you are planning a journey by bus and you need a professional advice or just a bit of help for the booking of tourist services, we can connect you with tour operator City Tours's team. Bus rental Hamburg: Thanks to this platform, it is possible to rent buses for sightseeing tours, excursions, and transfers by bus in Hamburg or its surroundings, Lower Saxony, Schleswig-Holstein, and in Mecklenburg-Vorpommern, as well as in Germany and all over Europe.
. We will shortly come up with the best offer considering your personal needs and indications. We will then forward you an estimate of your transfer, visit, excursion or trip in Hamburg as a rough guide!